San Jose, CA – February 5th, 2019. iXsystems®, the leader in Enterprise Storage and Servers Driven by Open Source, starts 2019 strongly after three consecutive years with over 50% year-over-year revenue growth in its TrueNAS® product line. 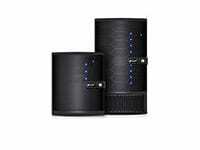 This achievement and momentum reflects the rapid adoption of the cutting-edge TrueNAS M-Series storage appliance. 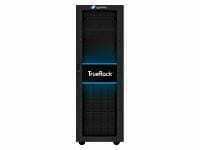 The TrueNAS M-Series unified file, block, and object storage appliances deliver “Advanced Technologies in Perfect Harmony” according to DCIG and are proving to be the go-to storage solution for businesses, schools, and government agencies that need a storage solution scalable to over 10 petabytes. 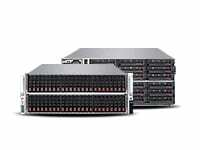 Released in May 2018, the M-Series provides high availability and 100Gb/s performance using best-of-breed technologies including NVDIMMs, NVMe, and the ZFS file system. 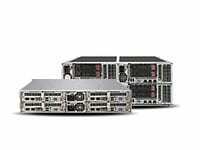 They can be configured in Hybrid or All-Flash modes with industry-leading price-performance-capacity. The Media and Entertainment (M&E) industry was among the earliest adopters of the TrueNAS M-Series. Production houses, including three major Hollywood studios, have implemented the TrueNAS M50 for both Archive and Editing workflows. 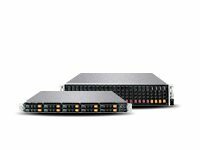 The high capacity and high bandwidth of the M-Series, along with all the data protection and replication tools, make it well suited to the production and storage of valuable multimedia assets. Both the TrueNAS X-Series and M-Series are also being used in more turnkey solutions. 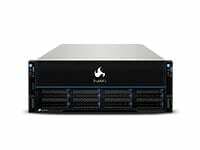 The Asigra TrueNAS backup appliance was identified by SearchDataBackup as one of the converged secondary storage solutions changing “buying patterns for organizations”, and is a finalist in SearchStorage’s 2018 Backup Products of the Year. FreeNAS®, the world’s most popular Open Source storage operating system, is integral to the success of the TrueNAS platforms. Version 11.2 of FreeNAS launched in December and features an all-new Angular-based web interface that will be extended to TrueNAS in 2019. With over 10 million downloads and a rapidly-growing community hundreds of thousands strong, FreeNAS can be found in organizations around the world of every size and industry. 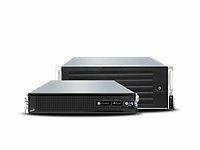 FreeNAS Mini and Certified appliances from iXsystems are widely used in offices and labs. To learn more about iXsystems and how TrueNAS can help your organization, visit www.iXsystems.com, contact us via https://www.ixsystems.com/contact-us/, or give us a call at 1-855-GREP-4-IX.